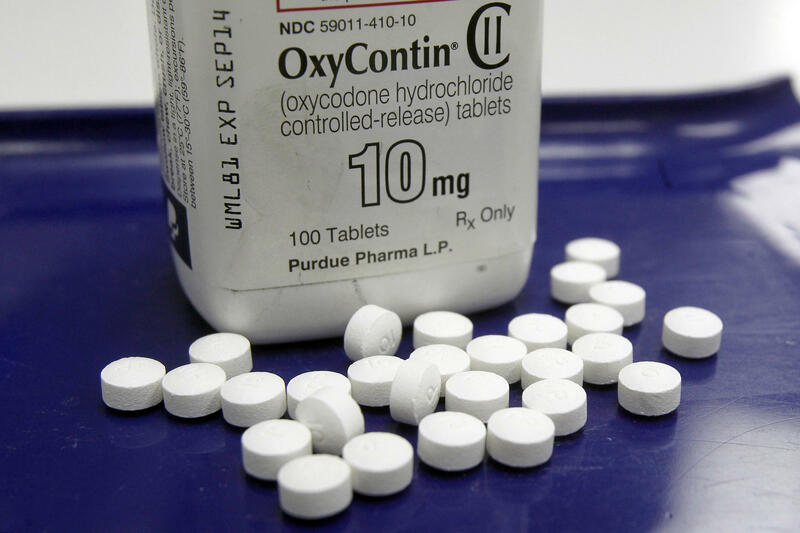 FILE - This Feb. 19, 2013 file photo shows OxyContin pills arranged for a photo at a pharmacy in Montpelier, Vermont. Some national lawsuits, including the one joined by Hawaiʻi County, have accused distributors of helping to develop deceptive materials and advertising, deploying sales representatives and recruiting physicians to encourage increased prescription rates. Those efforts have increased "addiction, loss of life, and costs," according to a county resolution. "They need to start forking some of that money over so we can start addressing some of the devastating effects of what they created," said Hamakua Councilwoman Valerie Poindexter. "What I'm concerned about is, we're going for the deep pockets rather than the root of the problem," said Kohala Councilman Tim Richards. "The end user, the prescriber, the one who held the license, is the one to be held accountable."